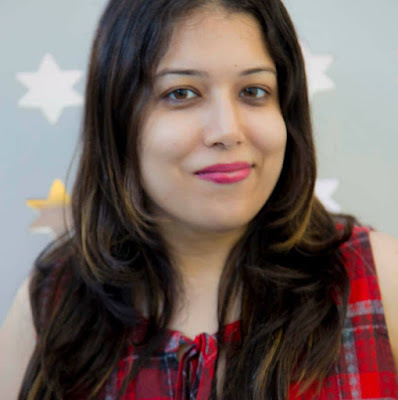 Today on 'On Writing' we have the beautiful and talented Indian author Sudesna Ghosh, who is also a strong body positive and mental health advocate. My love for writing and books started early when my mother took me to the huge public library where we lived in the United States. I remember spending the day with books and bring back a pile to read. And then, I wondered if I could see my name on a book cover someday. Also, I was lucky to be encouraged by elementary school teachers who asked us to write our own short stories and read them out to the class. I think names are just as important as any other character traits. I have a habit of naming my protagonists after people I know – usually the person who inspired that specific character’s creation. I do something related to writing every day, be it marketing or adding word count. That said, I take a couple of weeks to a month off between writing each book to mull over the next one’s plot in my head. I love writing in the night when everyone else is sleeping. But my favourite place to write is in a coffee shop during the quiet weekday afternoons. What is special about ‘My Singapore Fling’? First of all, it is my first attempt at the romance genre. I was used to writing fiction for children and teens. Secondly, I never had so much fun writing a book before because the protagonist was doing what I wanted to do but am not brave enough to try. I love Dipa. As I said, writing her character and experiences enabled me to live out a little fantasy of my own J Plus, I love how she’s 30+ just like me and still not ‘settled down’ or dying to be settled down, as society puts it. How long did it take to finish writing ‘My Singapore Fling’? I wrote the first draft during NaNoWriMo 2016 and then let it sit there for a while. Then I spent a couple of months editing. 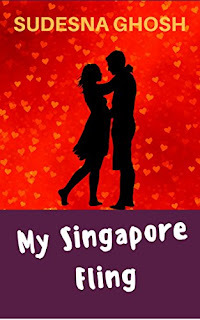 Please share a passage or quote from ‘My Singapore Fling’ for our readers. He was shocked. “Dipa, never give up on anything. Not love and not chocolate,” he said. Love? I have no idea how love had come into this conversation. I started reading ebooks this year after I published five of them myself. I am enjoying reading books on my iPad without worrying about shelf space. But I still enjoy browsing for new reads at the physical bookstore, running my hands over the spines and reading the back cover blurbs. Both formats have different advantages. It is VERY important. More than ever before. This is because anybody can publish a book and that means that readers have a lot more to choose from. Every author has to do something to build his or her personal brand. Standing out is difficult and being online is a must to get readers to know you and your work. Read a lot from both inside and outside your preferred genre. Write regularly at the time that suits you-you don’t have to wake up early to write just because someone else does. Writing is just a part of the whole publishing process. Keep your eyes and ears open to see what successful authors are doing in terms of marketing and promotion. Thank you, Sudesna! It was great chatting with you! 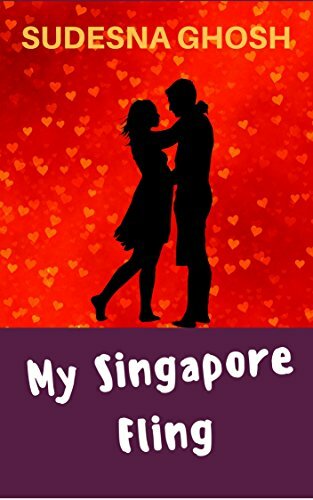 Readers, go grab 'My Singapore Fling' from Amazon! Meet Dipa Basu. She’s a 30 something modern Bengali woman living in Kolkata and a successful writer. After many relationships and breakups, she’s decided that love is a waste of time. She’s always had these phases where she’s been obsessed with different things; like one where old men in dhotis appealed to her. But this time she’s crazy about men with British and Australian accents. She travels to Singapore for a few days, on a quest to have a fun, meaningless fling. Her trip is full of surprises. Will Dipa have her Singapore Fling? Writing regularly at times that suits you is such a good advice to follow, Sudeshna. An insightful interview by Preethi with both incredible Qs n As. Enjoyed reading about the author's journey and the Singapore fling.